Now’s your chance to dive into the world of percussion. 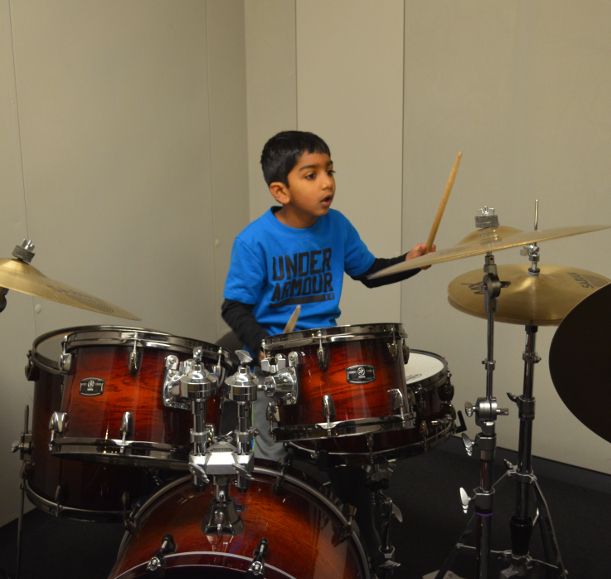 Perfect for adults and kids, this interactive area allows everyone to live the life of a drummer. Try out hundreds of percussion instruments from around the world. Jam with your friends and get a groove going. 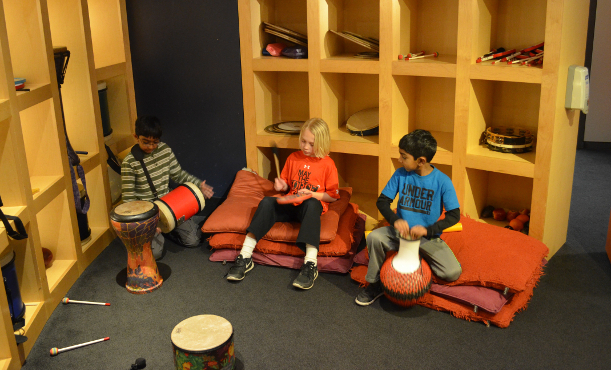 Experience up close our collection of hands-on instruments, including drum sets, cymbals, djembes, and wind chimes, along with many other instruments with roots from all over the world. 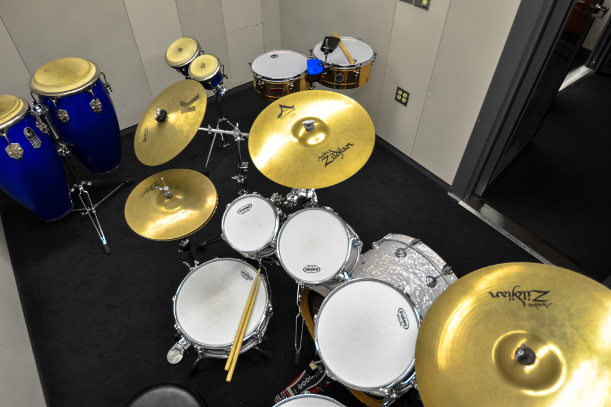 Virtually change the acoustics in our Wenger practice rooms to hear what a marching snare sounds like in an arena, or a crash cymbal in a cathedral.